Fantastic private 2 bedroom apartment overlooking the water from the balcony, river views to the side and mountains the rear. Tall ceilings, very spacious and beautifully furnished. Peaceful second floor dwelling, with everything you will need for your stay. - there is a child proof gate for the stairs. 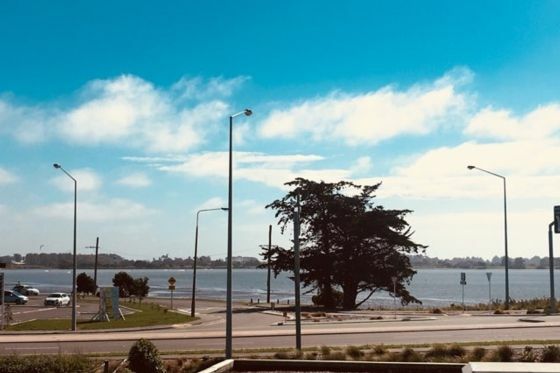 Set in the heart of Ferrymead you have the convenience of all shops/ restaurants/ supermarkets/ bars and cafes within a 2-5 min walk. The gateway to the hill walks and pristine beauty of the peninsula is just a stones throw away. Car parking available and Public Transport within 5 minutes walk. A full laundry is provided for your use with washing machine and clothes drying rack. Upon confirmation of your booking you will be emailed instructions for self check-in before your stay. Discount applies to longer stays. Conveniently located near to the Sumner Suburbs and not far from the City Centre. Very clean and tidy apartment, had everything we needed with quality furnishings, handy location and a nice outlook, would recommend. Excellent apartment. Great location for exploring Christchurch, Sumner, Lyttleton, Brighton. A great place to stay...had everything we needed..We would definately stay here again.